Since rolling out a new exam-scanning system last semester, ITS cut the average wait time for instructors as well as ITS’ own staff time to provide the service in half. Launched on campus in Fall 2017, InstructorTools by DigitalDesk also has drastically reduced the number of printed reports, which decreases printing costs. In addition, “with this system, there are more checks and balances,” said Gina Bradford, ITS Classroom Hotline Manager, with ITS Teaching & Learning. Feedback from instructors has been positive, she added. They appreciate having direct access to the new system’s many features. InstructorTools replaced a system that Carolina created and had used for some 35 years. Because the new system pulls instructor and student information from ConnectCarolina, there’s less manual entry to set up reports and more validations, Bradford said. The old system did not integrate with ConnectCarolina and would, for example scan whatever was fed into it. The new system rejects forms that are not matched with students enrolled in the class and alerts faculty to these mismatches. Developed in the mid 1980s, the old exam-scanning tool was powered by Perl and SAS and served up out of the AFS distributed file system. The exam-scanning system was extremely reliable, but it required much more staff effort. File-based reports were available for faculty and web-based reports were available for students, but some aggregations of data were available only in print. 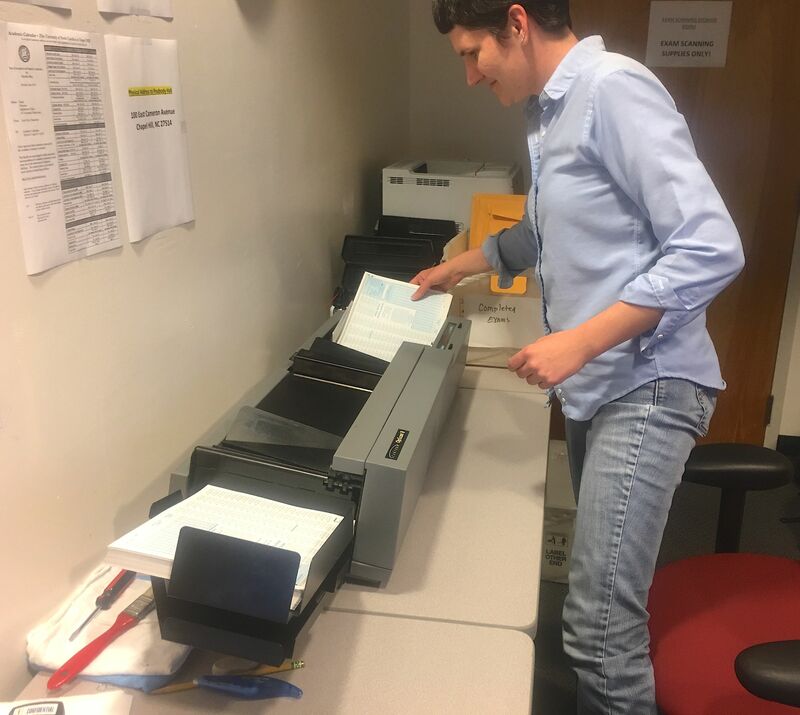 During 2016-2017, more than 100,000 pages were printed and distributed to faculty. InstructorTools provides all reports to instructors online, which has all but eliminated printed reports. The web interface enables instructors to make corrections, update answer keys, customize reports and release grades to students without requiring ITS staff assistance, Bradford said. InstructorTools enables instructors to generate and analyze a multitude of custom reports by exporting raw data into Sakai or Excel spreadsheets. Seeing how many students selected each answer to a question can inform instructors whether that question is effective. If no students answered correctly, perhaps the instructor needs to review the wording of that question. If an instructor sees that scores were pretty low on an exam, InstructorTools also enables the instructor to add bonus points and rescore. 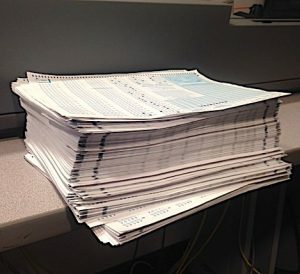 During the Fall 2017 semester, the first and only entire semester since InstructorTools launched, the exam-scanning tool scanned 67,506 bubble sheets and has been used for 621 exams and by 234 faculty members with 41 schools or departments, said Suzanne Cadwell, Director of Teaching & Learning. The top five units by number of faculty using service were Psychology (38), Exercise and Sport Science (28), Pharmacy (20), Biology (16) and Political Science (14). The UNC School of Nursing used to scan its own exams. It switched over to the ITS service when the new exam-scanning tool launched. 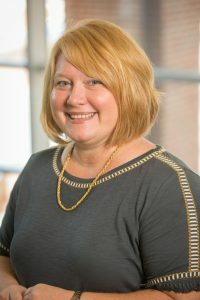 Louise Fleming, Assistant Professor at the UNC School of Nursing, spearheaded that move after testing InstructorTools and arranging for training. 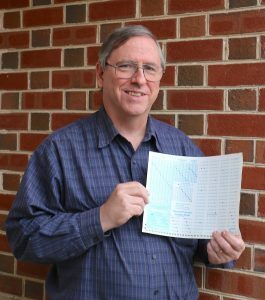 Other Carolina instructors have said that their students enjoy receiving part of their grade immediately after taking the exam. Instructors also appreciate that most of the work grading multiple-choice questions is automated, saving them time and reducing grading errors. They also like that the InstructorTools software lets them input multiple keys while also providing aggregate scores when they use multiple versions for each exam. ITS groups spent more than a year prepping for the implementation of the new exam-scanning tool. The system consists of a web application front-end for instructors, an independent student grade portal, a database back-end and a couple of client stations used by Classroom Hotline for scanning. “We worked with several different ITS groups for preparation of the new service and regularly worked with the vendor to get the application to the point we were comfortable with moving forward,” said J Bazemore, Technical Services Administrator with Teaching & Learning. The ITS Systems group provisioned the application servers. ITS Middleware hosts the database, and CloudApps hosts the student portal. The application requires regular reports of the data from ConnectCarolina. ITS Enterprise Applications runs those regular exports of the information. ITS also worked with the Office of the Registrar to obtain the necessary access and rights for information to feed into the new system. 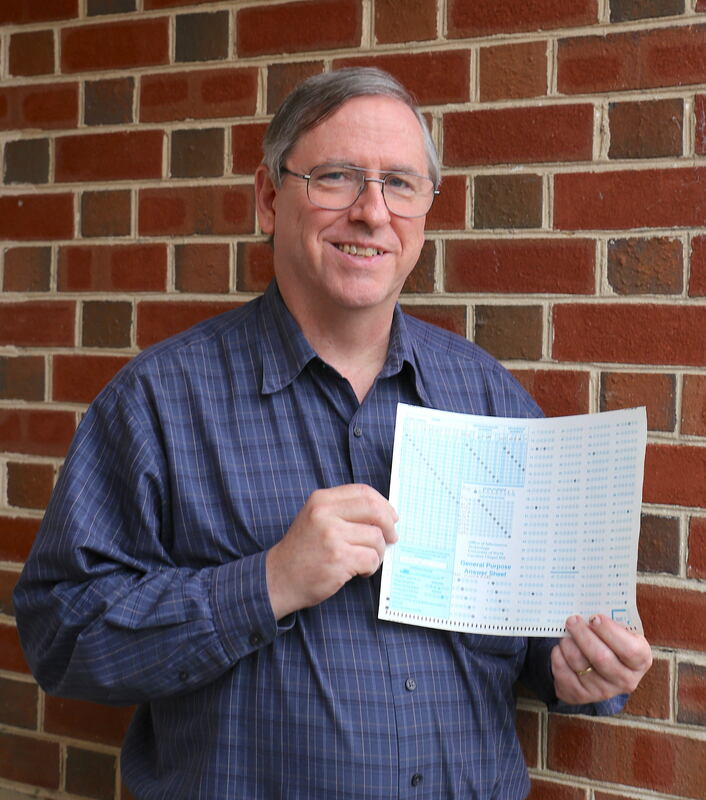 Todd Lewis, Solutions Engineer of ITS Infrastructure & Operations, witnessed the birth of Carolina’s previous exam-scanning system as well as its retirement. As a result, Lewis said, the Comp Center decided to write its own scanning analysis system in SAS.